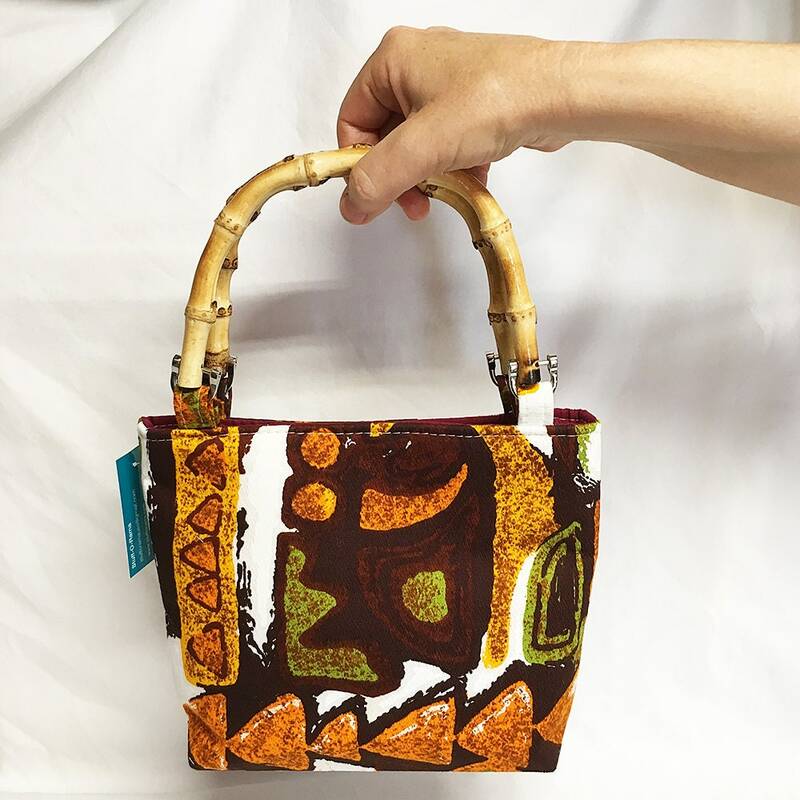 This bag is a small, compact size for those days when you just want to carry a few items. 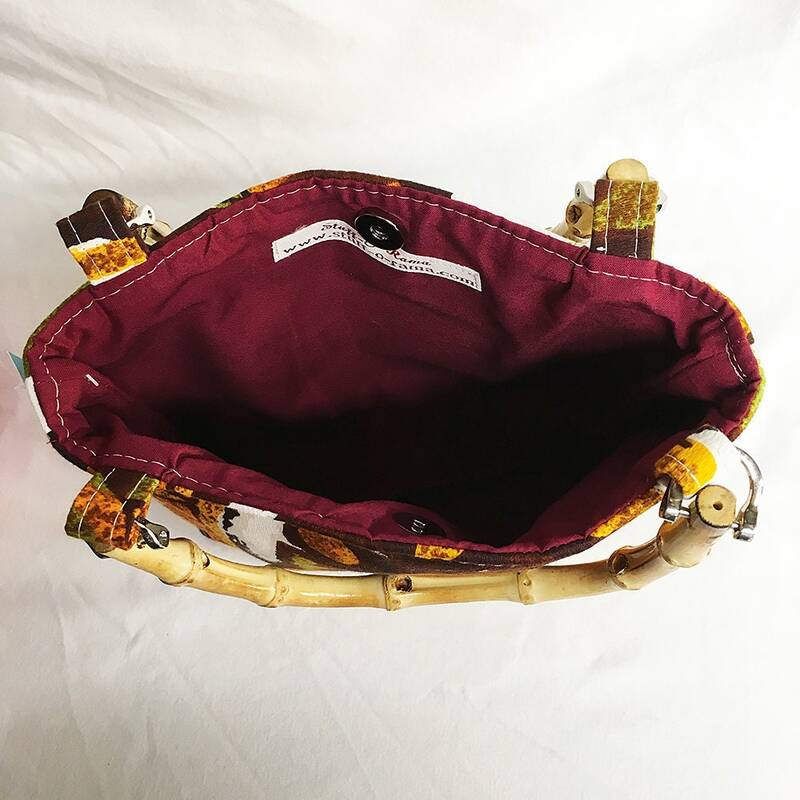 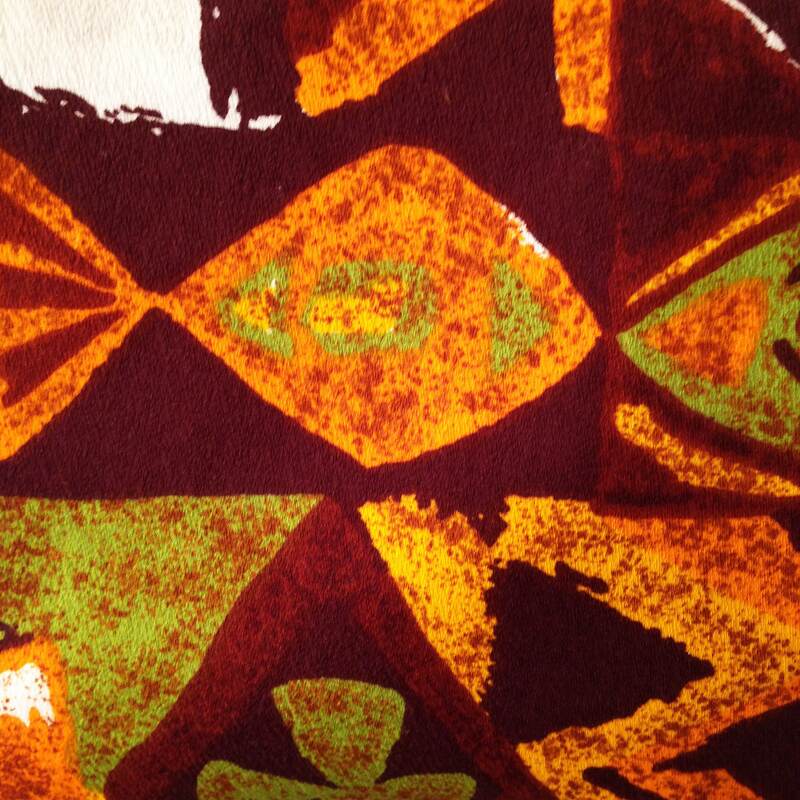 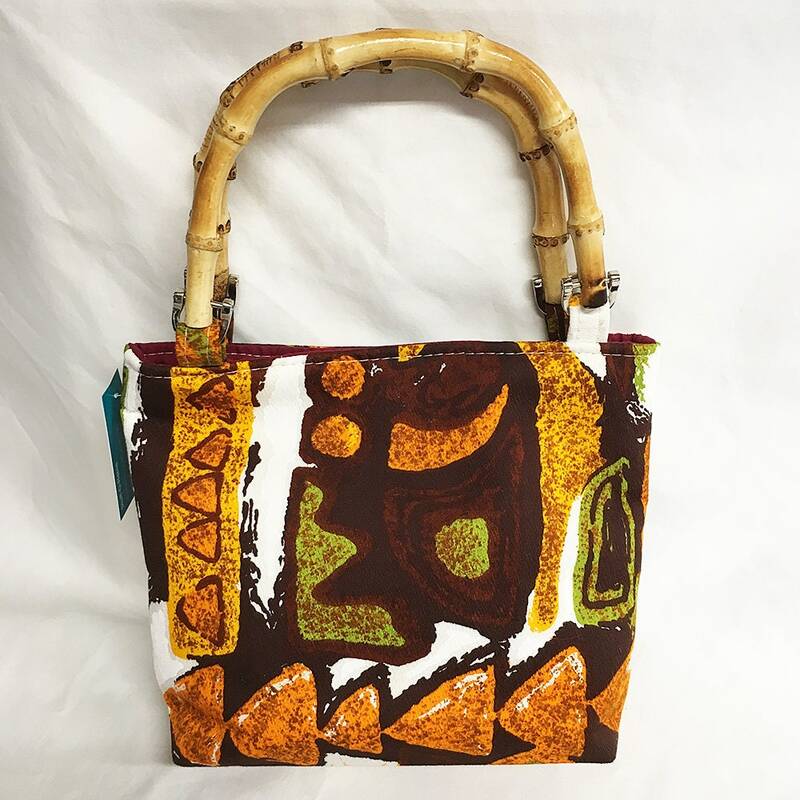 Made from vintage 1960s tiki barkcloth style fabric and padded with sturdy wool felt, and the interior has a burgundy, 100% Kona cotton lining. 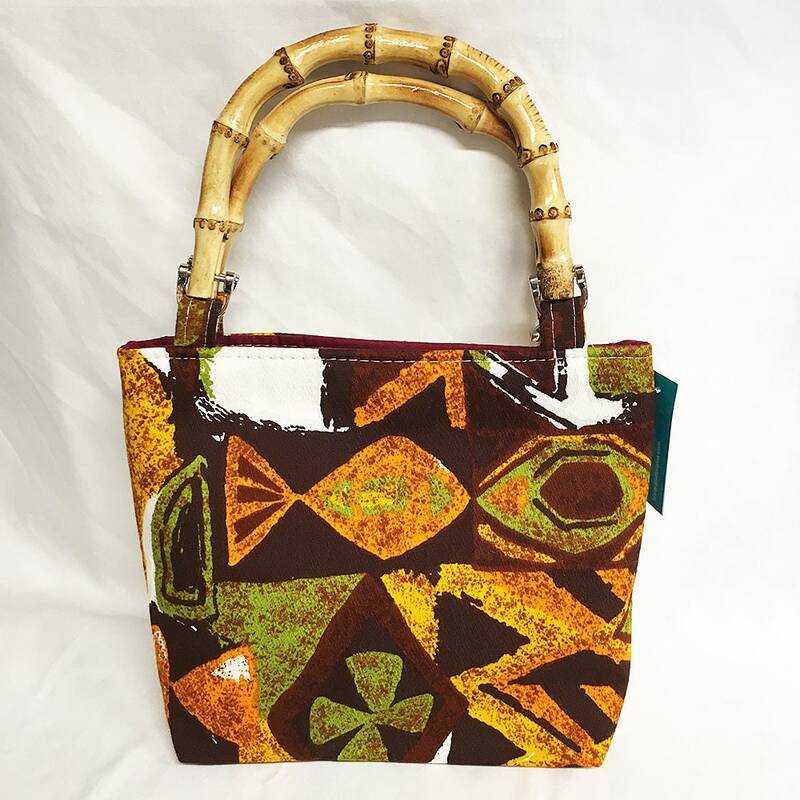 The handle is real bamboo, the bag has a magnetic clasp closure.